2019 is off to a quick start for the Valcre team. 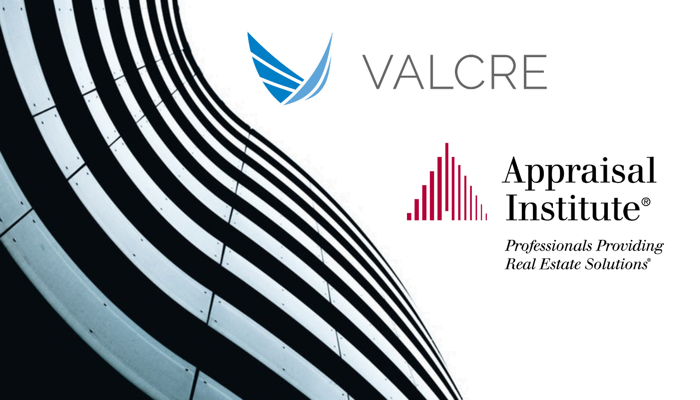 At the beginning of January, we finalized an agreement with the Appraisal Institute (AI), which will make Valcre’s industry-leading platform more accessible and affordable to top commercial real estate appraisers. The affiliation is in perfect alignment with Valcre’s mission to revolutionize real estate technology for everyone. The AI’s global professional association is nearly 18.000 real estate appraisers strong. One of its membership perks is discounted access to more than a dozen industry-leading tools, all of which are geared toward propelling appraisers. So what exactly does this new agreement mean for Valcre? Top professionals from nearly 50 countries will have discounted access to Valcre’s cloud-based appraisal software. Depending on the subscription plan, users could receive up to 29 percent off the industry’s most innovative and intuitive appraisal technology platform. Valcre remains dedicated to creating a new industry standard for real estate analysis. Its platform, which provides institutional level quality tools to firms of all sizes, is now available to AI’s vast network of commercial real estate professionals at a discounted price. Earlier this month, Valcre announced a partnership with FUEL Enterprise. FUEL is a state-of-the-art cloud-based platform powering the next generation of valuation, forecasting and transaction underwriting for CRE. The partnership will integrate Fuel’s cutting-edge cash flow modeling into Valcre’s industry-leading appraisal software. The update will benefit companies of all sizes and bring faster, more accurate commercial property valuations to its users. Valcre is a company of innovators and entrepreneurs. We design, build,and support modern technology, and we find creative and novel ways to apply new technologies and processes to solve important challenges. “We measure our success through the success of our users, which is why affiliations with organizations like AI and FUEL are key for delivering true value,” explains Lucas Rotter, founder and CEO of Valcre. For more information visit the Appraisal Institute benefits page or email sales@valcre.com to get started today.